Are you tired of bad or leaving teammates? Then play with our best boosters and climb Competitive ladder yourself on your own account. 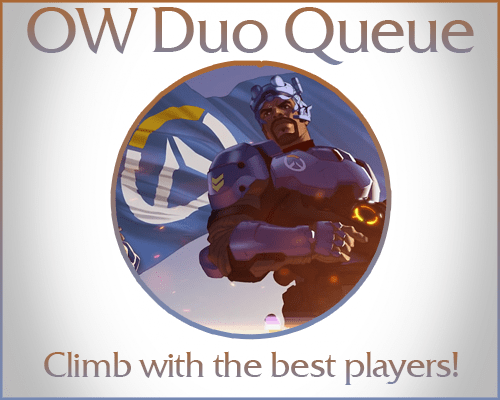 After making the order all of our Duoqueue Overwatch boosters from your region will be notified of your order and some of them will start playing with you soon. To order: Enter your current skill rating and select how many games you would like to play. The boosts can be started instantly or we can work on your schedule. Can be finished in one day if played all at once.